Kudzu: The Vine that Ate the…North? 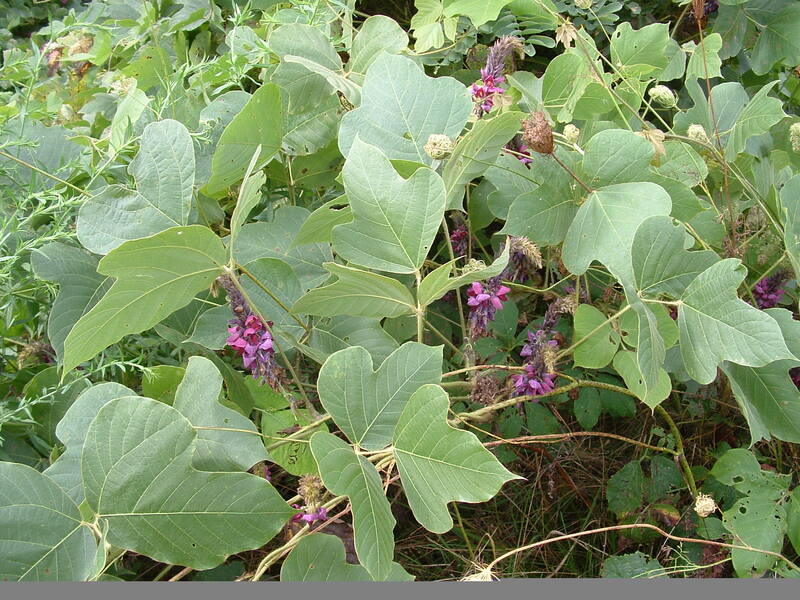 Kudzu (Pueraria montana) has long been known as “the vine that ate the south”. In recent years, however, it has been gaining a foothold in Ohio. There are currently more than 60 known locations in the state. Although the majority of these areas are located in southern Ohio, it can be found across the entire state from Lawrence to Cuyahoga County. 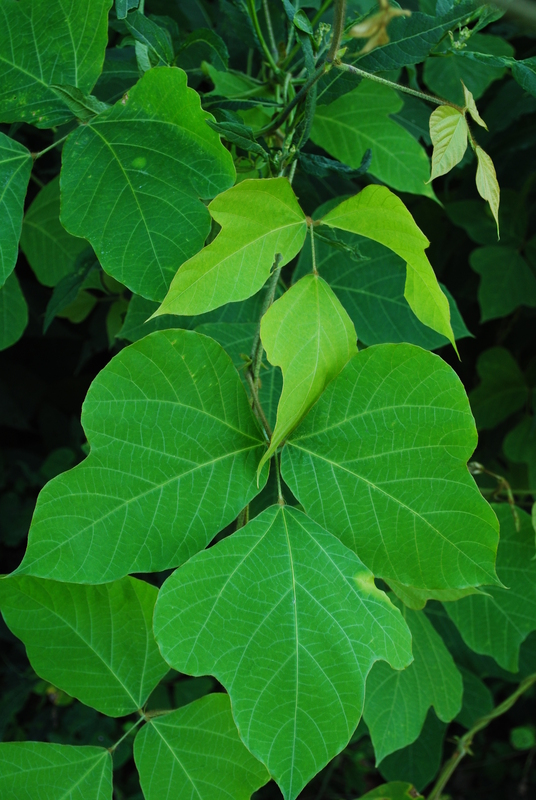 Twenty-two counties are known to have populations of this invasive vine, revealing that cold winters aren’t enough to keep it at bay. Kudzu was introduced to the United States in 1876 at the Philadelphia Centennial Exposition to be planted in its Japanese Garden area. The large bright green leaves and showy purple flowers quickly led to its use in the horticultural industry, and in the 1930s it was widely planted for erosion control. From there, its use as livestock forage was discovered, leading to plantings throughout the south to feed cattle. 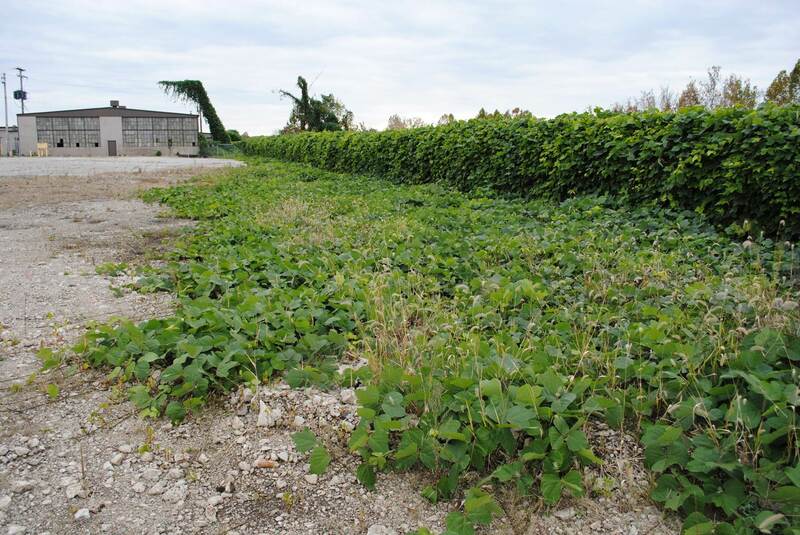 Ohio has recently joined at least 14 other states in adding kudzu to the state’s noxious weed list. This is a species that poses many threats to our Ohio woodlands. Kudzu has been shown to have very rapid growth rates (up to a foot a day), and can take over large areas of land relatively quickly. This vine will grow over anything it encounters, including trees, killing them over time. Kudzu is very aggressive and can quickly cover an area, blocking sunlight to all native plants. 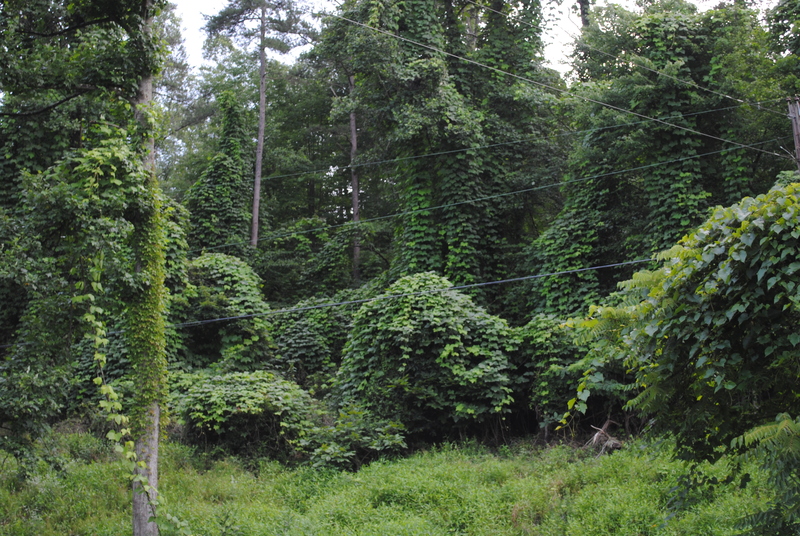 Once established in an area, kudzu is very difficult to control. Early detection and removal is the best method for getting rid of it. Kudzu has large compound leaves with three leaflets per leaf. Each of the three leaflets is three to seven inches long and will often have lobes. Flowers are generally present from June to September, and are two to 12 inch long bright purple clusters similar to pea flowers. The fruit is present from September to January, and consists of flat, tan, hairy seed pods up to three inches long. Each seed pod can have three to ten hard seeds. The young vines are covered with fine yellowish hairs, and the older vines can get up to four inches in diameter. 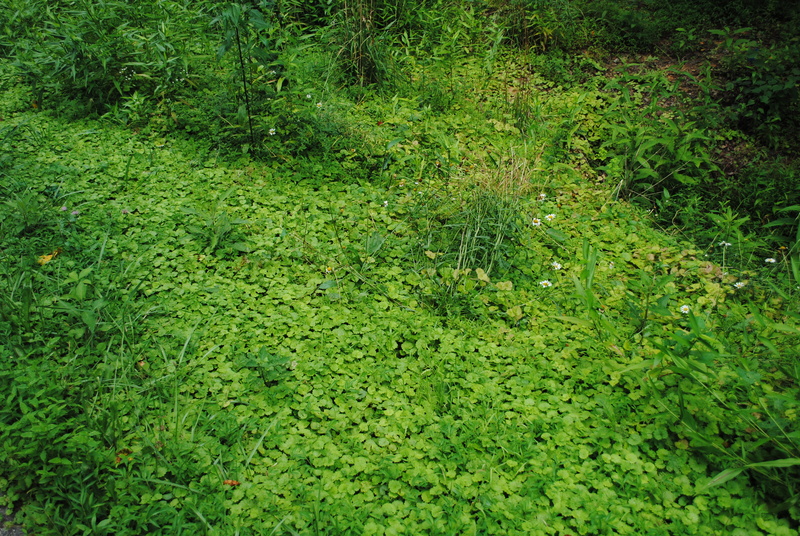 The main method of spread for kudzu is through above ground runners, although it can also spread by seed. 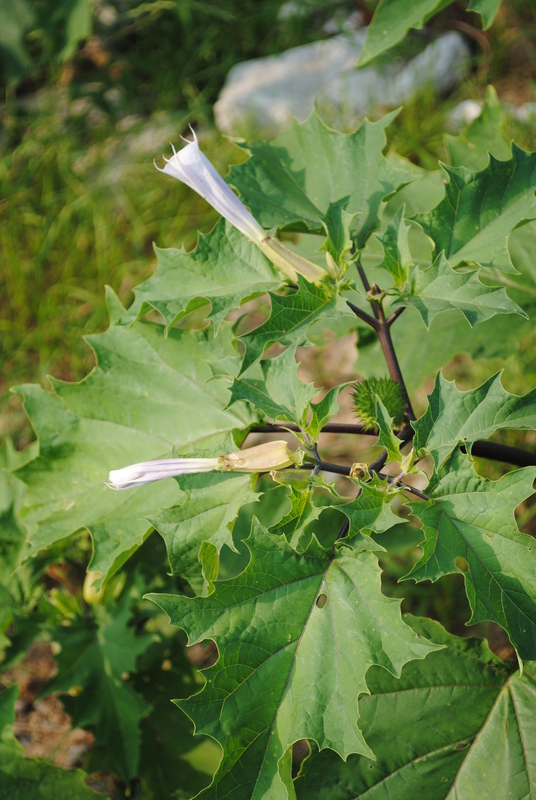 Jimson Weed – Datura stramonium : flowering and fruiting (look at spiny egg shaped fruit in leaf axil. ground ivy – Glechoma hederacea – Dense infestation at disturbed forest edge and beginning to expand into the forest.